The description on this page is for the experienced hobbyist only. Errors in the construction of the circuit and/or deficiencies in the described device may damage the PC and/or other devices! 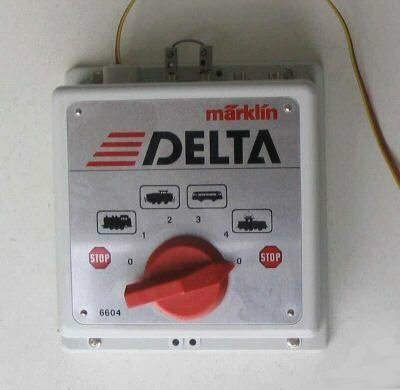 You can connect your old Märklin Delta Control 6604 as an additional Booster at the BoosterBus of ORD-1. There are only a few steps to make this work. The output voltage of DELTA 6604 is unregulated and directly dependent on the used transformer. Thus, the voltage is greater than 24V at the track and can damage decoders and lighting. As you can see on the picture below you have to shorten the throttle inputs. Now switch the address selector to the right "STOP" position. That's all. 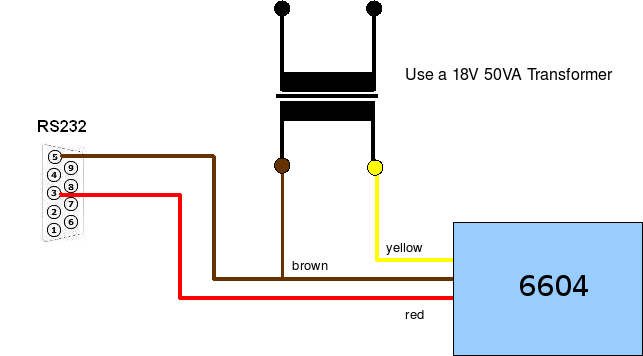 Connect the red, yellow and brown cable as you can see at the picture. Remember not to use the same transformer for ORD-1 and 6604 !!! Now you can connect your 6604 with your Modeltrain Layout. The booster switch off, if the programming track will be on. Notes: Disconnect PIN3 from output voltage (Vaa) and connect to +12V voltage regulator (LM7812). 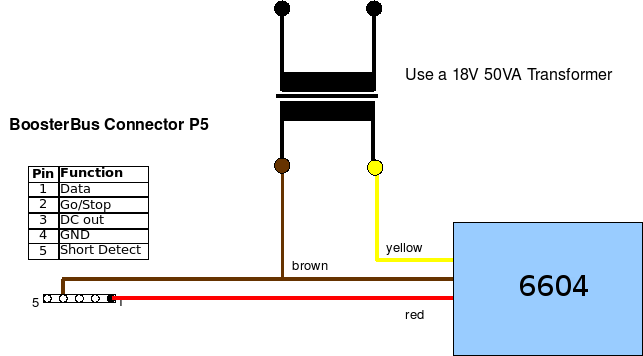 If this connection is used there is no galvanic isolation between the layout and pc. Only if considered serious the next notes you ensured that not demaged the pc. 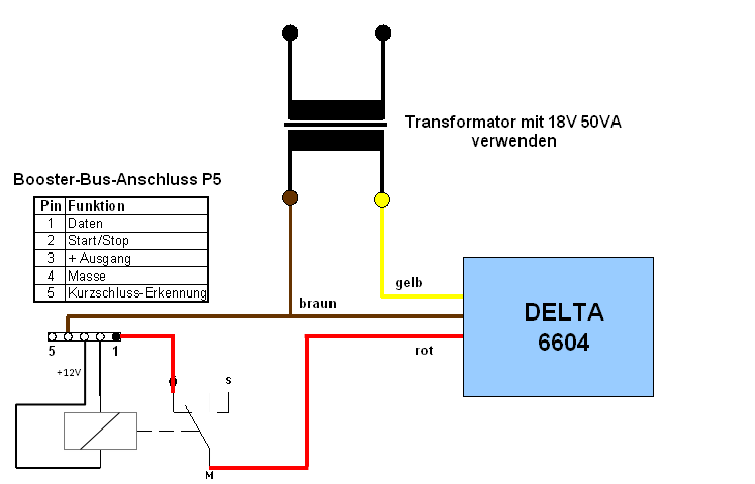 The transformer should be only and exclusively connected to this one DELTA 6604.